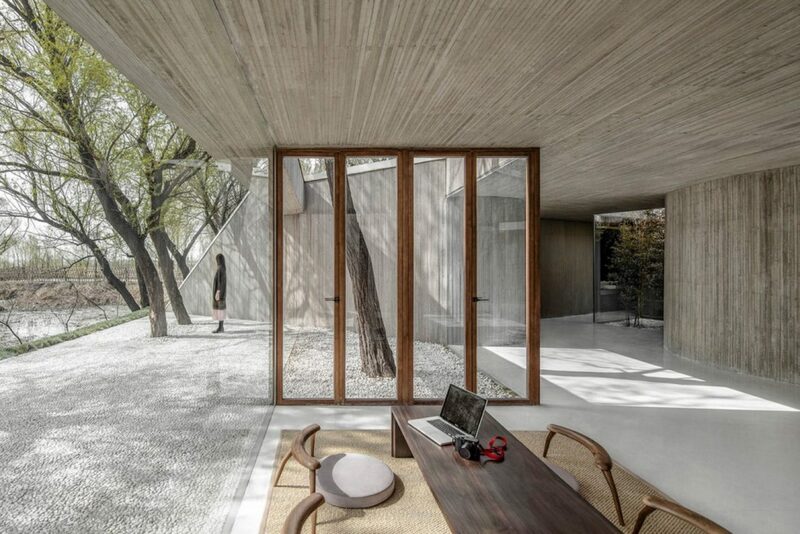 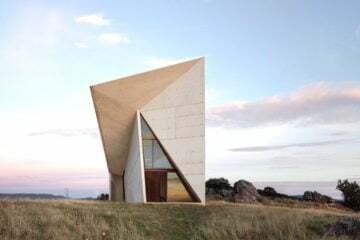 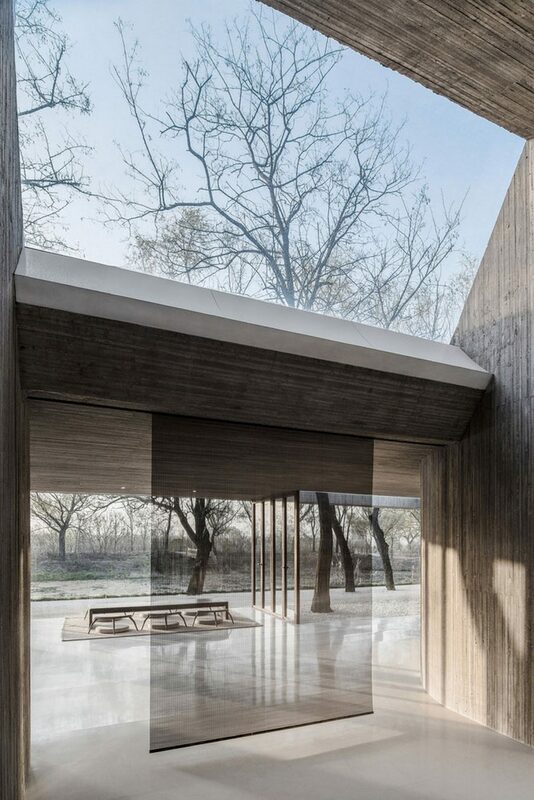 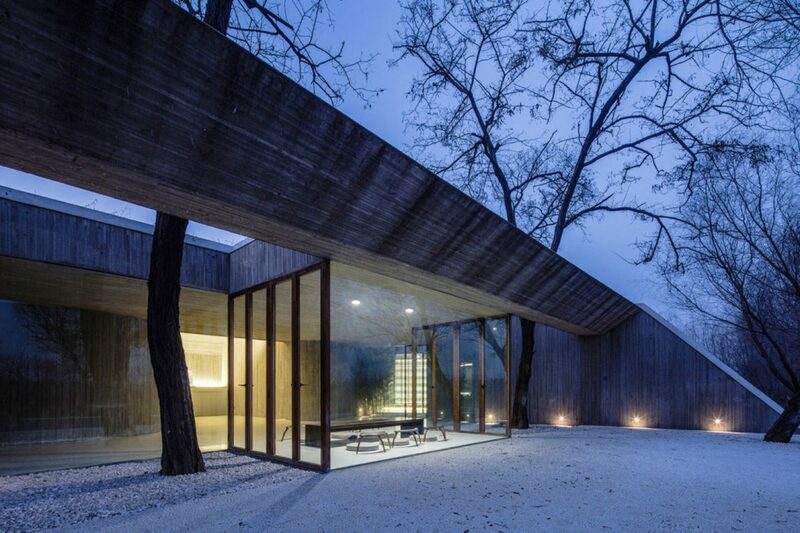 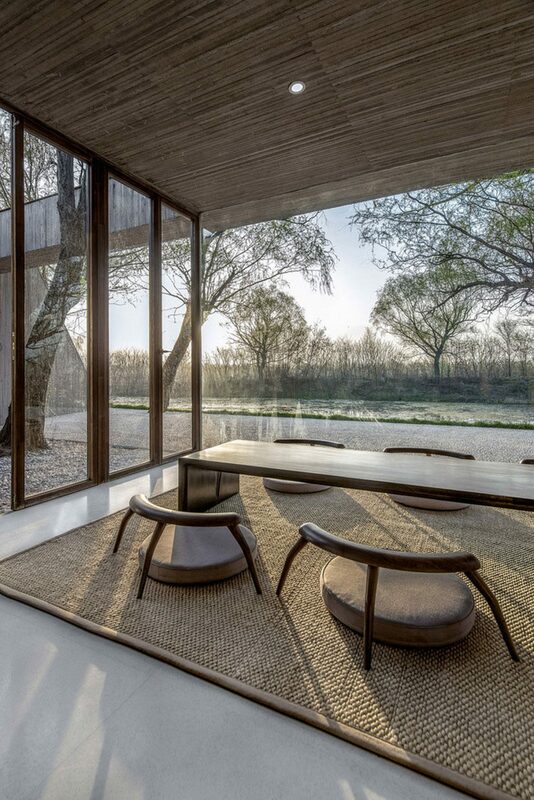 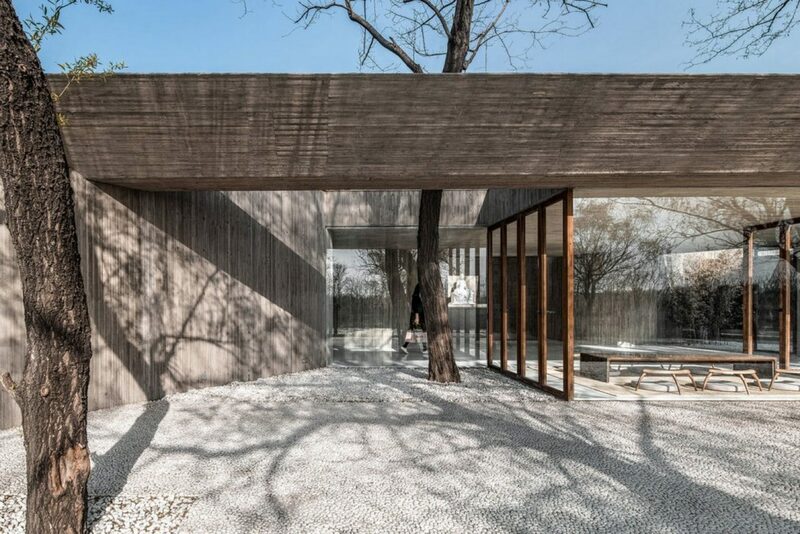 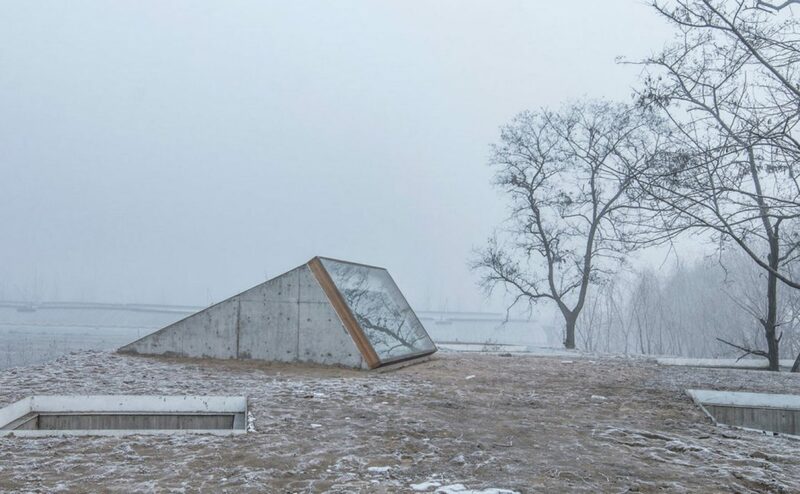 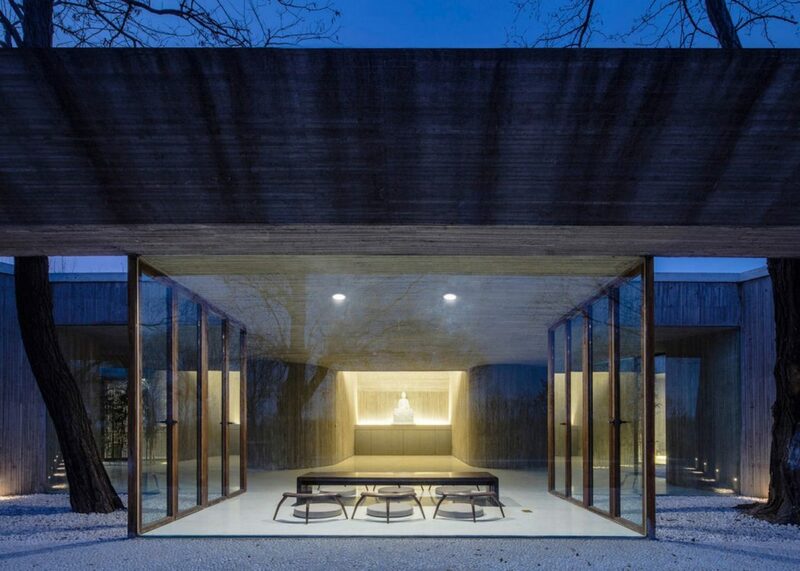 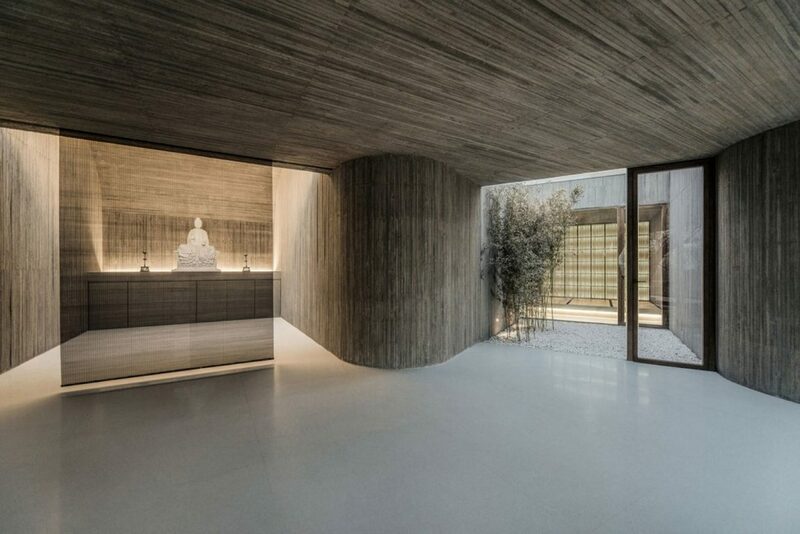 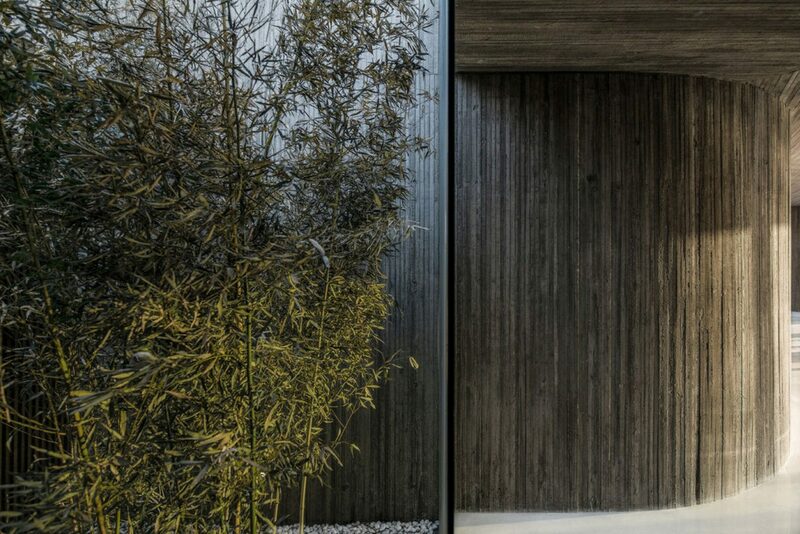 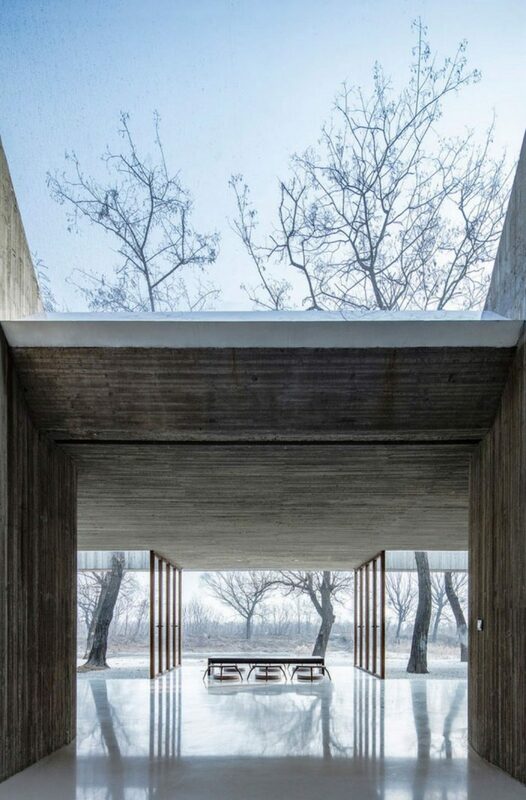 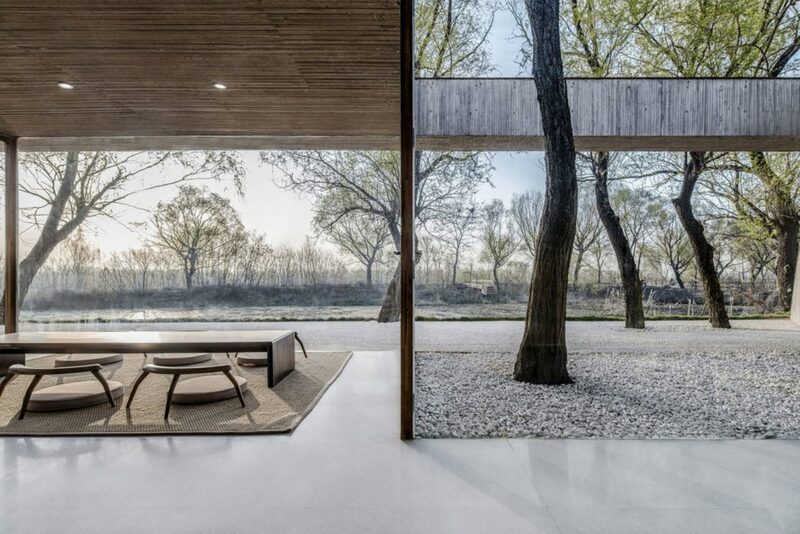 Chinese architecture practice Arch Studio developed the project of a minimalist Buddhist shrine, providing an immersive experience of being close to nature. 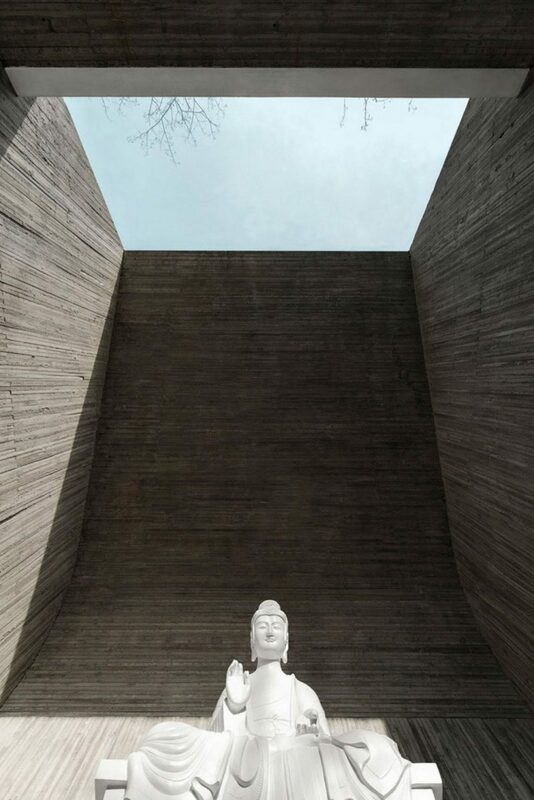 ‘Waterside Buddhist Shrine’ is located in the forest near Tangshan, Hebei, China. 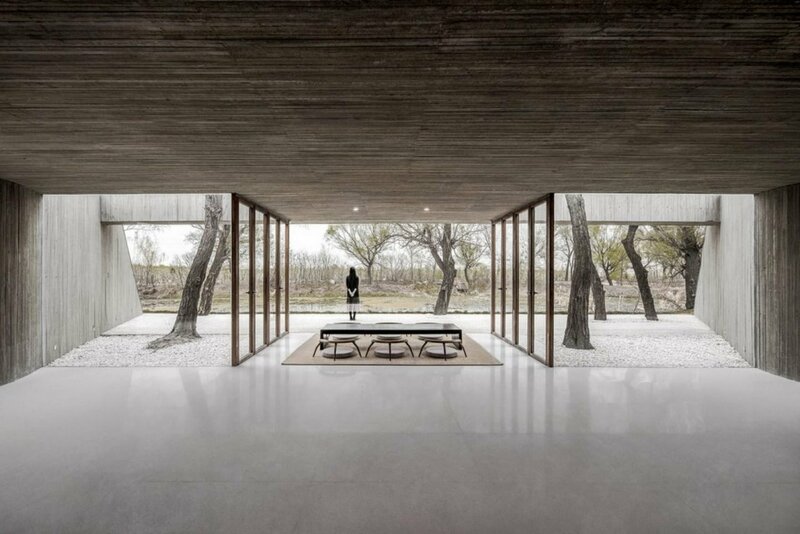 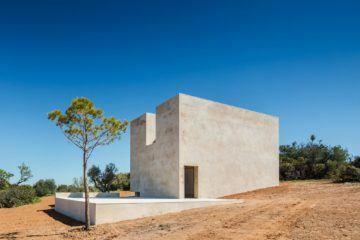 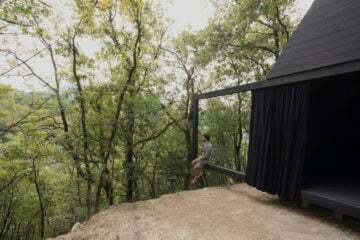 The main assumption of the project was to create a peaceful space that would stand in harmony with nature. 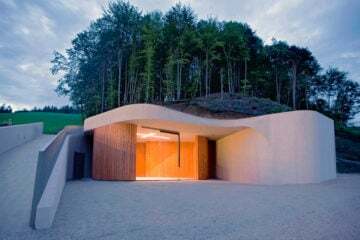 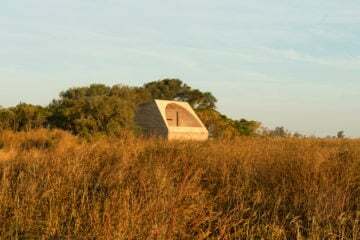 Adapted to the method of earthing, the building is hidden under the earth mound, making it close to nature without intervening into it. 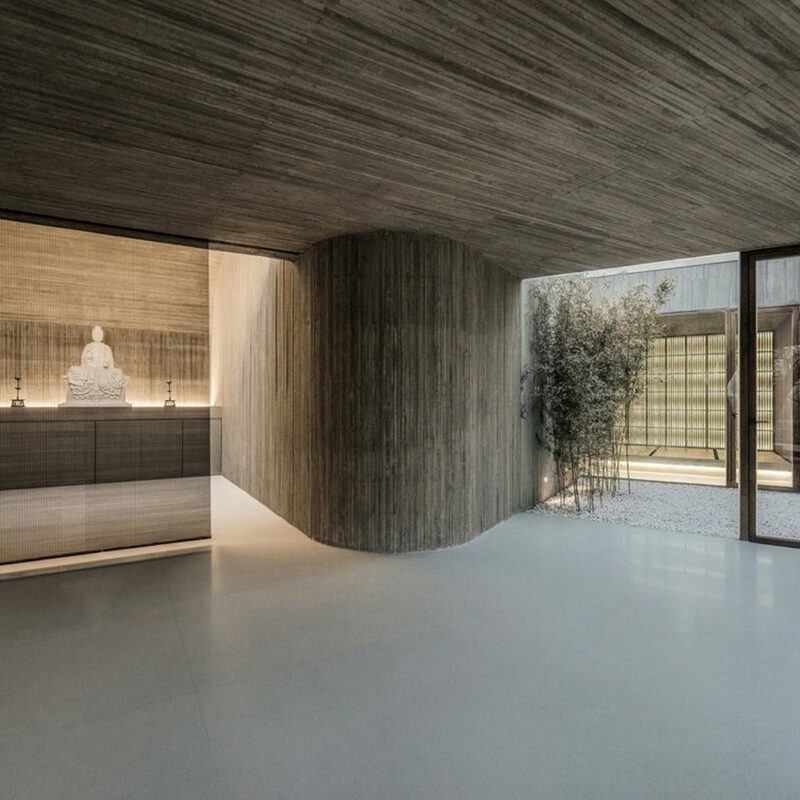 The serene space features meditation room, tea room, living room and bathroom. 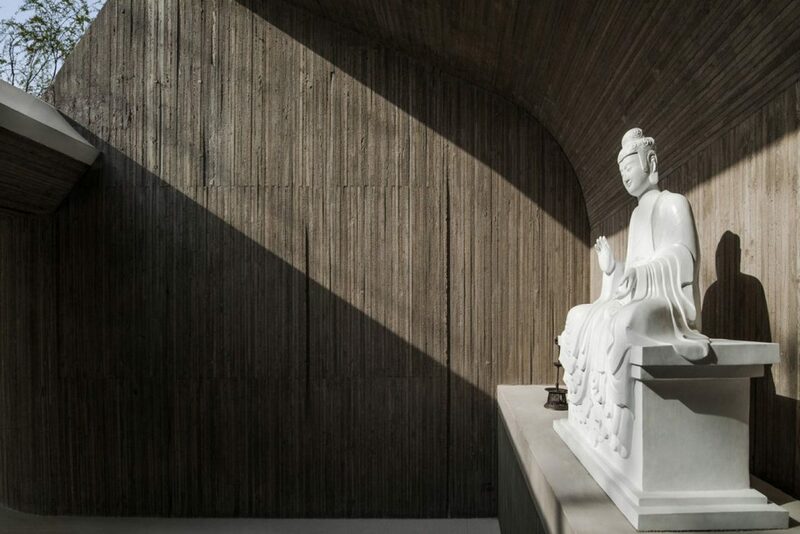 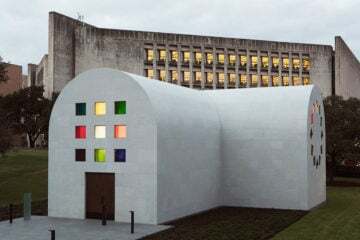 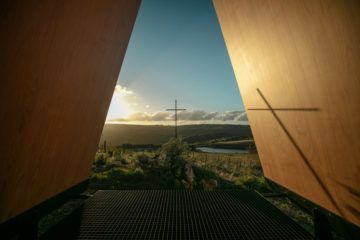 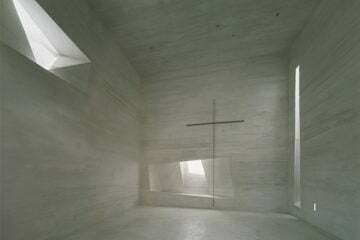 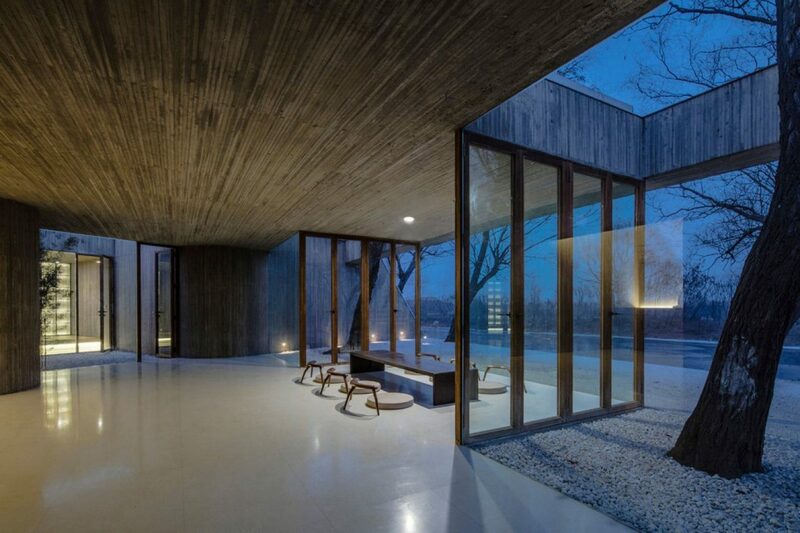 Its unique positioning, as well as peaceful interior provide an outstanding space for contemplation and meditation. 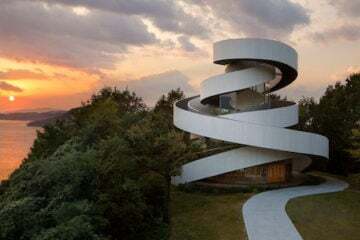 A Spiralling Ribbon Chapel By Hiroshi Nakamura & NAP Co.